If you are a young entrepreneur, eager to share your business idea or product with the world, you may be itching to acquire capital but may not have the credibility to get in with traditional investors for funds or have access to banks for substantial loans. In that case crowd-funding may be for you. At its most basic level, crowd-funding is simply gathering capital informally from a large number of small investors and/or potential customers. It requires three parties: an online platform which hosts various business proposals and allows members to fund them for a service fee, potential investors and entrepreneurs who use the site to pitch their ideas. Products and services as diverse as the Pebble smart-watch, novels, charity events, video games and many others have successfully achieved, and often exceeded, their funding targets. Ordinarily, an entrepreneur has to spend inordinate amount of his own time and money reaching out to banks and investors and prepare sales pitches and brochures, which have to be fine-tuned to each party’s liking. He or she also has to meet a list of legal criteria before becoming legible for banking loans or receiving large investments in general. Furthermore, each party imposes its own terms, conditions and time-frame within which the investment has to make returns. Donation based: This is the most straightforward method. You typically appeal to friends, family and other interested parties to simply donate money for your idea. This is most suited to charitable work. Rewards based: This is the way that mainstream crowd-funding websites operate on. If you’re a startup, you pitch your idea on the website using a well-designed marketing campaign involving videos, social media ads and blogs to attract potential investors. You state a funding target and timeframe and offer the larger investors incentives like pre-orders, additional items or special services to attract them. Equity based: This model is specific to large scale businesses who offer ownership shares of their company to investors like a conventional public offering. Investors expect returns and shares of the profits in the form of dividends and other financial instruments. Only large scale investors are legally able to own stocks. Keep in mind that crowd-funding only helps you to gather funds. It does not make your business profitable for you. 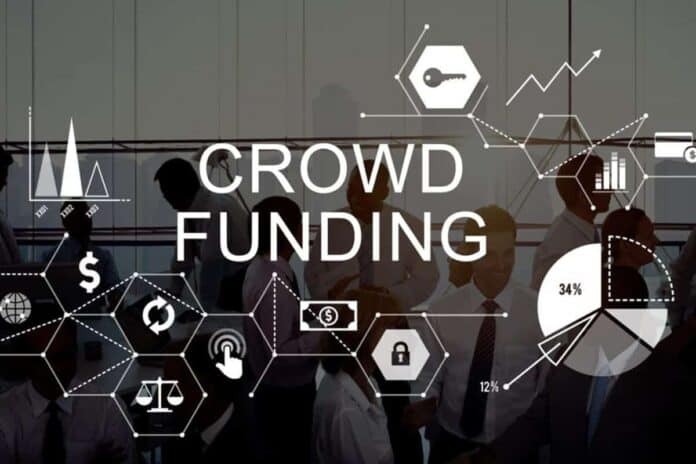 Many successful crowd-funding campaigns have succeeded only to have the businesses themselves fail because they could not deliver on their promises due to poor planning. In some cases, the business idea wasn’t attractive enough to gather more than a handful of enthusiasts. In short, there is no substitute for hard work. With that caveat out of the way, I urge you to explore the world of crowd-funding and find that group of loyal customers who will share your passion for your business.